I came across this study on the Pyramids of Giza. 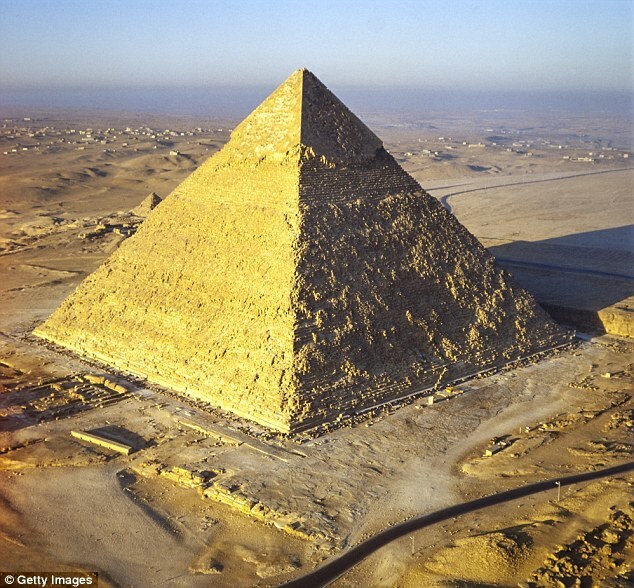 I have personally been inside one of these Pyramids in my travels. I think it was “Cheops”. You climb this tunnel and come up to this chamber. Empty. I think there was an empty tomb in it. Long time ago so cannot quite remember. If I understand this correctly – radio signals penetrate and distribute themselves evenly within the limestone substrate but in the chambers and at the base of the pyramid they tend to concentrate and amplify themselves causing localized areas of high magnetic and electric fields. It is amazing to think that the Pharaohs actually worked this out about 5000 years ago BUT then how different is this method of concentrating and increasing magnetic and electric power in your homes using this method below that is happening in your living spaces today. 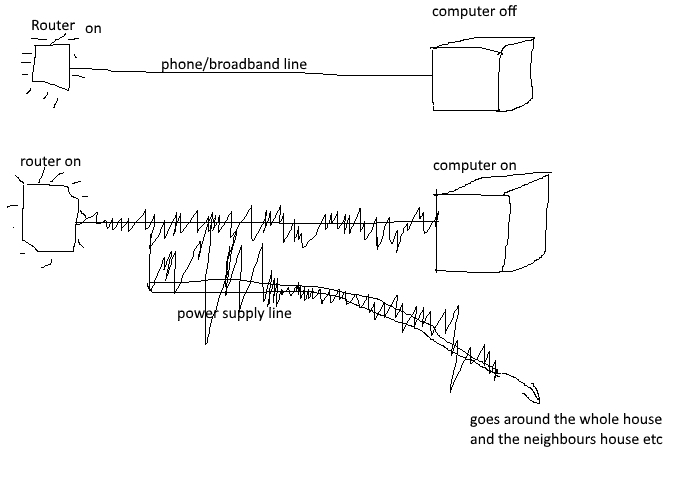 The radio signals come in via your telegraphic lines and phone and broadband lines because they are arranged like a dipole antenna outside your home. It drags itself into your home and on its journey to your computer, it pollutes your power supply line with noise and ultrasound. You only have to put an induction loop receiver near your access point for broadband and phone line and get a radio station playing music. You follow it around your home and you find the same thing in the copper pipes, your radiators on your light switches and in parts of your walls. 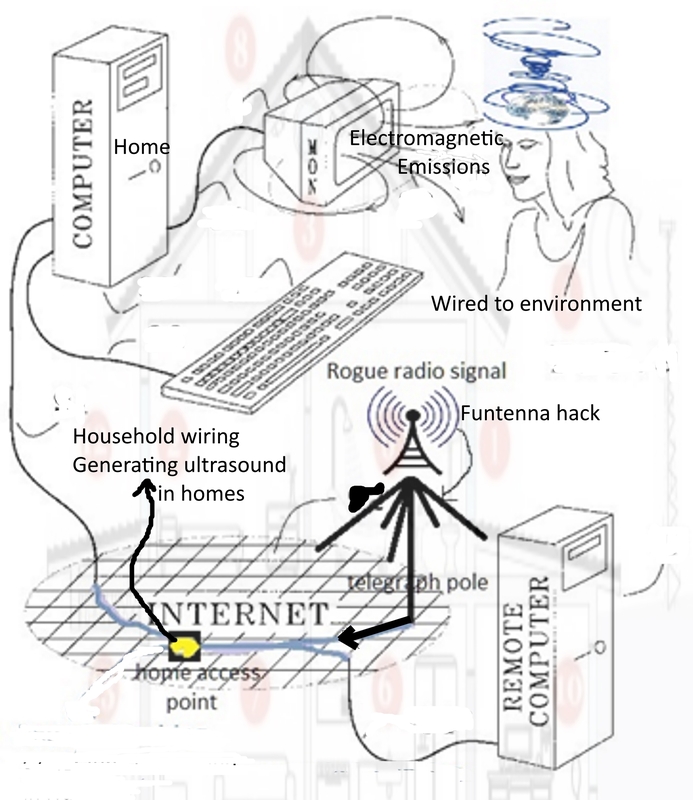 With the funtenna hack they can actually code these signals these days to get a rogue subliminal message into your head. You walk around thinking that all your thoughts are yours but they are really being created by these silent sound subliminal of ultrasound and high pitched tinnitus tones. Then they tell you how to vote and think and you think you are winning but it is all subvocal and outside the limits of clear sound hearing (20 Hz to 20,000 hz) and none of your thinking is your own. This is the “vibratory ether” in your living space. It competes with your natural consciousness as to this rogue “synthetic consciousness”. This is a manipulative consciousness and it works just like the real thing. So you go to your ballot box and you put this tick in this box and you think it was all yours and you just did the work of the devil. You know what I mean by the devil. What I mean is that you were complicit with this rogue signal and you just made Brexit happen and voted for another hand. Imagine how this can bring a country down made to do something that was obviously very wrong and voted for the wrong people or for the wrong policy. Yet, if it is allowed to function positively, it can be the future to work positively for everyone. The 5 senses, one’s mind, and its limitations are what allows this disruptive innovation to flourish. This “synthetic consciousness” is a disruptive pattern among you. It controls everything, the mind, the Arts, to government and policy and it also knows what you are thinking, as you are coupled to this amplified energy and because of “speak thinking”. It is Hell about to break loose if you ignore this unseen danger. I wonder where is its source.